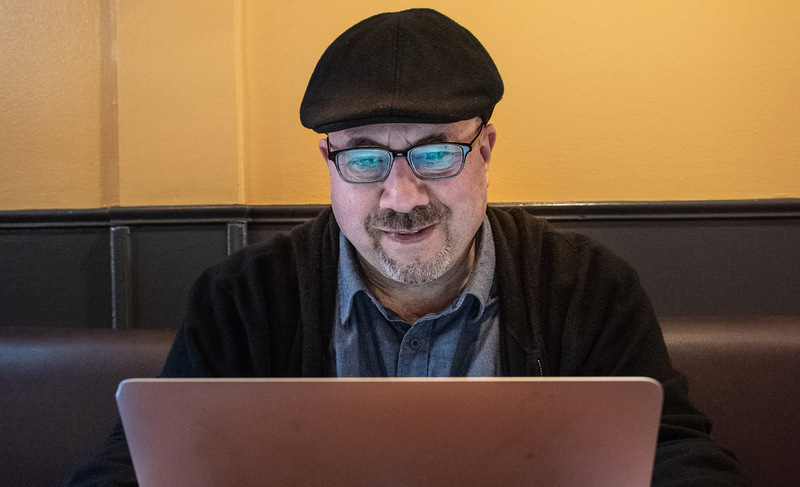 Despite his legendary status, Craig Newmark is able to walk San Francisco’s streets and ride public transit openly — few people recognize the founder of Craigslist, even though millions around the world use his website to buy furniture, rent apartments, hire movers or find a job. On this day, the unassuming billionaire entrepreneur shows up early for his interview and orders an Italian soda at a café in Cole Valley while waiting to talk about his connection to Judaism. It is a part of his identity that played no small role in his decision to launch Craig Newmark Philanthropies in 2016 and to start giving back in an intentional way. Growing up in Morristown, New Jersey, Newmark was such a devoted Hebrew school student and so enthralled by the lessons that some of his teachers assumed he would become a rabbi. “But I was too interested in being a scientist,” Newmark said. 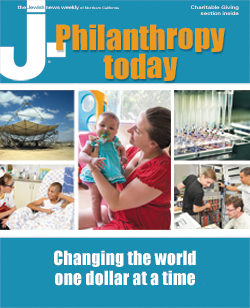 Though he went on to study computer science, Newmark said the lessons he learned at his Conservative congregation, the Morristown Jewish Center, have guided, to this day, his life decisions and the way he has conducted himself as an entrepreneur and philanthropist. “More and more I’m conscious of the notion of treating people like I want to be treated, and more and more I’m conscious of the notion that I got lucky financially and I should share that in ways that mean something,” he said. Forbes pins Newmark’s personal wealth at $1.6 billion, though he disputes that figure, and there’s nothing in his demeanor or lifestyle to suggest he is a man of means. He lives simply and eschews conspicuous consumption. His focus the last few years has been giving away part of his fortune through his foundation, with a focus on veterans and military families, voter protection, women in technology and journalism. He also has included Jewish causes in his philanthropy: In 2017, he gave $100,000 to the Anti-Defamation League to support its Incident Response Center, and he sits on the ADL’s tech advisory board. He also supports local Chabad community efforts. For someone whose company has been blamed by many for the demise of U.S. newspapers by draining away their classified ads — one study found that the industry lost $5 billion in classifieds revenue from 2000 to 2007 — he has been extremely generous to journalism-related endeavors. In February, his foundation gave $15 million to the Columbia University Journalism School and the Poynter Institute to help strengthen journalism ethics and leadership in the digital age. Columbia received $10 million of that to establish the Craig Newmark Center for Journalism Ethics and Security at Columbia, and to create the Craig Newmark professorship to direct the center. Moreover, Newmark last year gave $20 million to the City University of New York’s graduate school of journalism. The 66-year-old said giving money to journalism organizations and schools is critical because journalists have come under increasing attack the last few years. Newmark grew up in a modest home where Passover was bread-free and everyone fasted on Yom Kippur, though, he added, “I vaguely recall doing that kind of half-heartedly.” Their mom was the enforcer, according to his younger brother, Jeff Newmark, and everyone followed Jewish holiday rituals and rules. Their grandfather, Alexander, and one of his brothers had restaurants on Speedwell Avenue, Morristown’s “Jewish Row,” where in 1928 they also helped build the Morristown Jewish Center. It was there that the Newmark boys met the Levins, educators who would prove to be very influential. 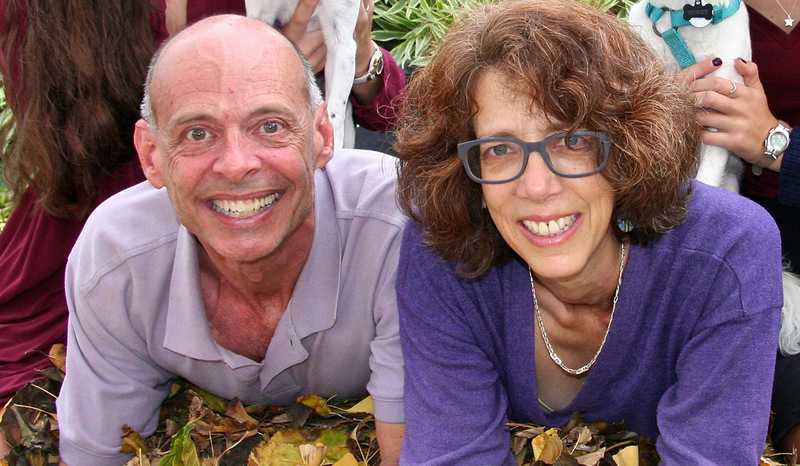 Rafael Levin was the head of the Hebrew school at the center and wife Rachel was a teacher. Both were Holocaust survivors. Another Jewish influence, albeit one that came much later, was singer-songwriter Leonard Cohen. 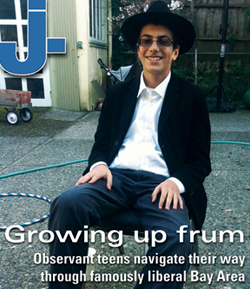 Jeff Newmark said Craig was a supportive older brother, especially as they struggled to deal with the death of their dad, Lee, in late 1965, not long after Craig’s bar mitzvah. Craig called that entire period a blur, but he recalls computers being his salvation. In fact, as his grades in English and history suffered, his teachers threatened computer restrictions until he got back on track. He went on to receive bachelor’s and master’s degrees at Case Western Reserve University in Cleveland, and then worked for 17 years as a programmer for IBM in New Jersey, Florida and Michigan. 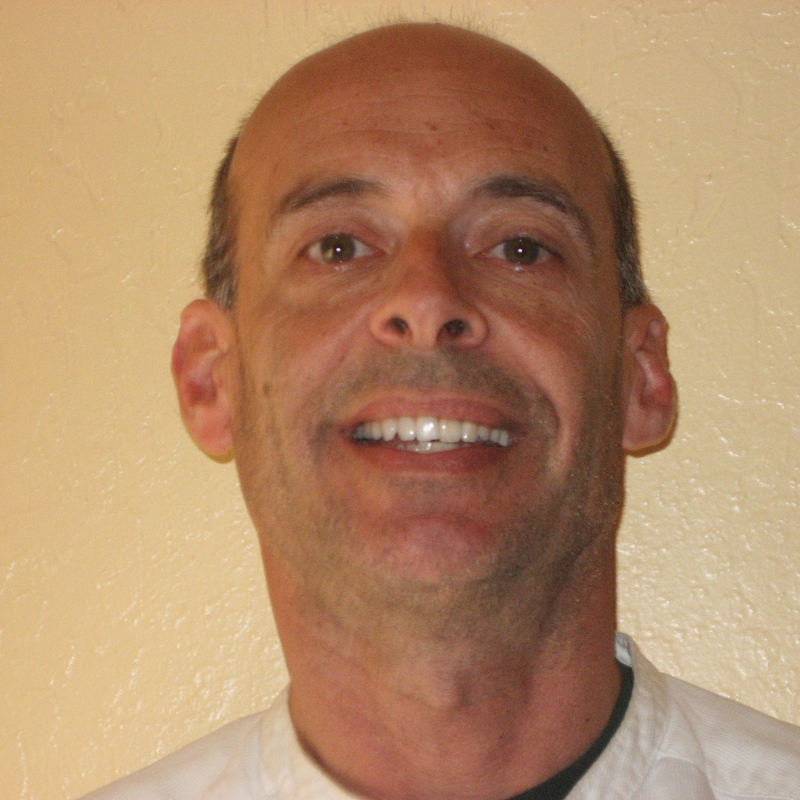 In 1993, he took a job with Charles Schwab in San Francisco. After being laid off two years later, Newmark hatched Craigslist — but not all at once. It started as casual emails he sent to a small group of friends to share interesting art and tech-related events in San Francisco. His hobby grew from there, becoming a go-to classified ad website with sections devoted to jobs, apartment rentals, lost and found, items for sale, professional services and community discussion forums on all sorts of topics. Two years in, when Craigslist hit 1 million page views per month, he realized this thing of his was no fluke. Today Craigslist is active in 70 countries, is among the world’s leading classified ad services (50 billion page views per month) and dominates the U.S. rental housing market with millions of listings. Most ads remain free. Last summer, that “nerd” called the Morristown Jewish Center and told executive director Gerry Gross he wanted to make a contribution to honor the Levins, his now-deceased mentors. Gross suggested putting the money toward a plaque, as well as the restoration of a Czech Torah from the 1700s that had been rescued from the Holocaust and loaned to the center. Newmark, who last month found out through DNA testing that he is “100 percent European Jewish,” said he plans to devote the rest of his life to treating others well and spreading his wealth. Managing Editor Sue Barnett contributed to this report.